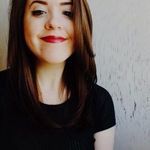 How to Create Wedding Menu Cards | Wedding Ideas ARE YOU A VENDOR? Here are the essential tips and tricks for crafting the the perfect wedding menu cards for your reception. 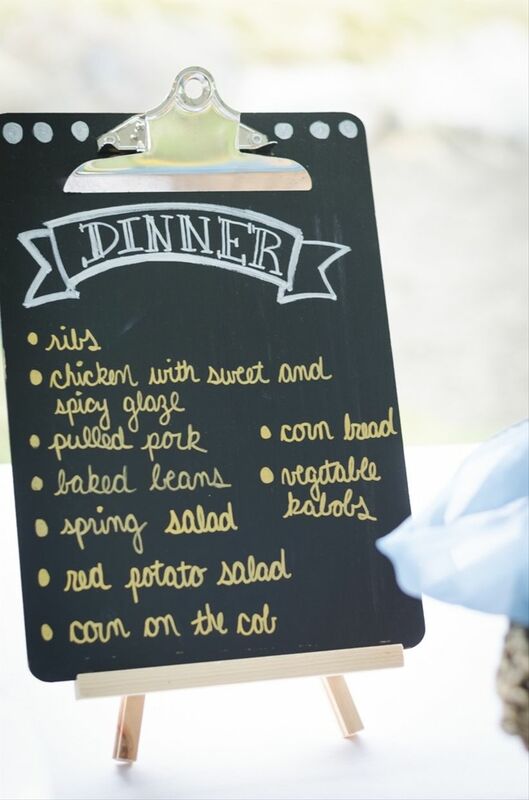 Once you’ve hashed out your dinner options for your wedding you can start cooking up your menu cards. The type of stationery you go with all depends on the type of catering style you’ve opted for. 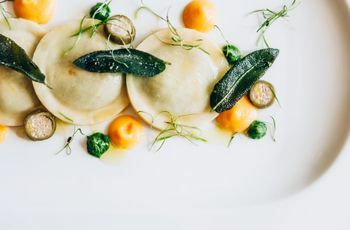 From food stations to family-style, here’s the lowdown on everything you should include on your menu cards. 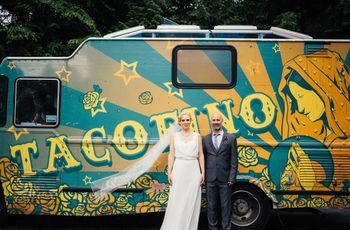 Pro tip: no matter which you go for, you’ll also want to include a sign somewhere in your reception hall that lists all the food options for the night. 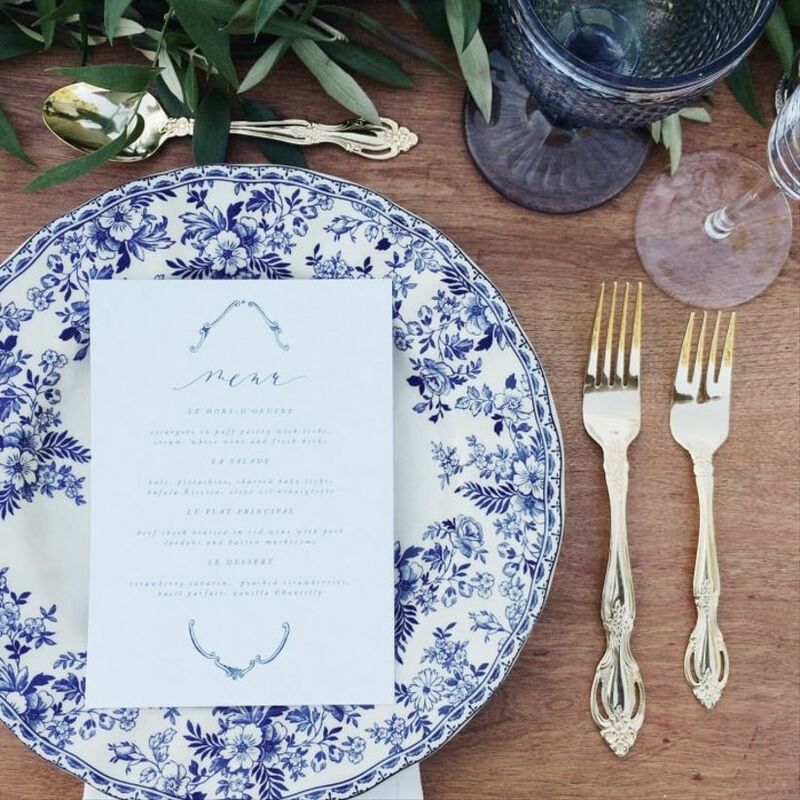 Here’s how to create your wedding menu cards. The menus for a plated dinner are pretty easy to craft. Just list all the meal options ordered on the card by course. 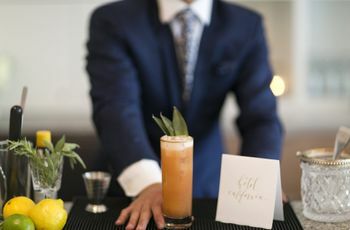 Your guests probably put in their order when they RSVP’d, so they’ll know exactly what to look forward to. If you’re hosting a buffet dinner adding menus to each table isn’t totally necessary, but they do add a nice touch. You may only want to include one per table that your guests can pass around before they go up to serve themselves. If you’ve got the funds, feel free to go the full nine yards and have cards printed out for each guest. These should have the dishes listed by type - appetizers, mains and desserts - so that they’re easy to find. Don’t forget to order small cards for the buffet table that state what each dish is (not all surprises are good, especially when allergies are involved). Similar to buffet style, whether you add menus to your table or not is up to you. If you do go the route of individual menus, have them broken down into sections by station and list each item available at each station. Aside from that, you’ll definitely need signs at each station explaining its offerings. 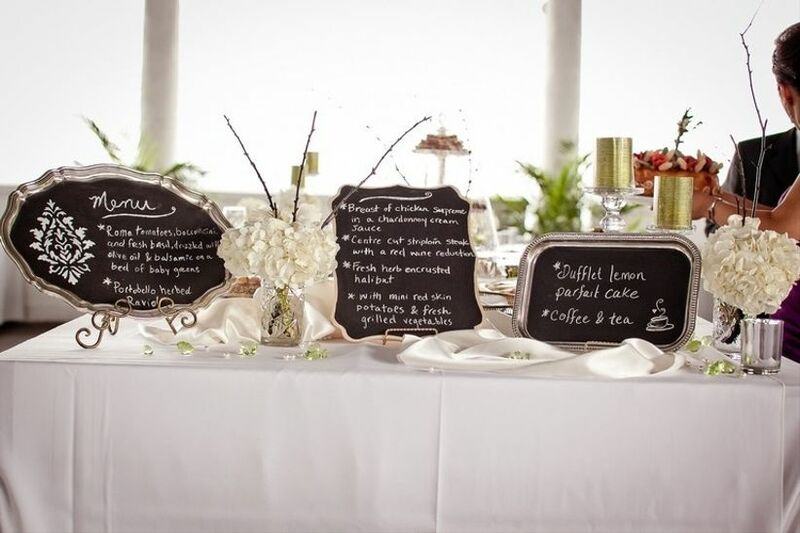 If you want to cut costs a little, consider using chalk boards at each station (this will look perfect at more rustic affairs). Family-style meals involve heartily portioned plates that guests split among themselves. 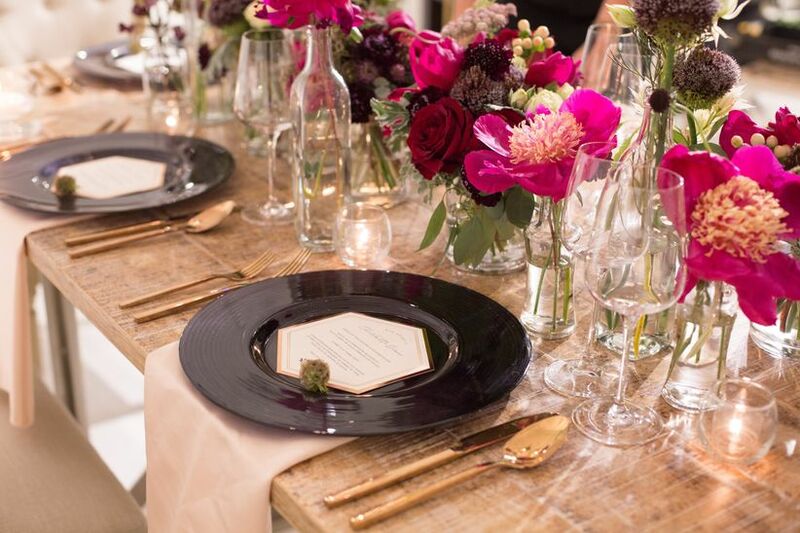 If you’re going with this catering style, each guest should receive a menu with a breakdown of dishes by course. This will let them know what’s coming their way in advance. The menus themselves will look similar to those at a plated dinner, but will usually be more robust in offerings. If you’re offering hors d’oeuvres instead of full meals menu cards are not at all necessary (congrats! You’re saving a few extra loonies and toonies already). Your wait staff should be able to tell guests what they’re serving, making menus pretty much obsolete. 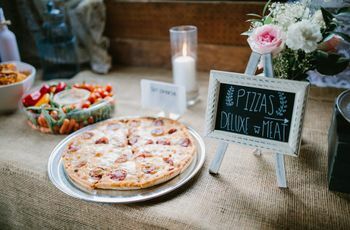 To save your friends and family from guessing what’ll be coming out of the kitchen next, include a sign near your venue entryway that has a run down of all the bit bite-sized eats that’ll be served over the course of your reception.